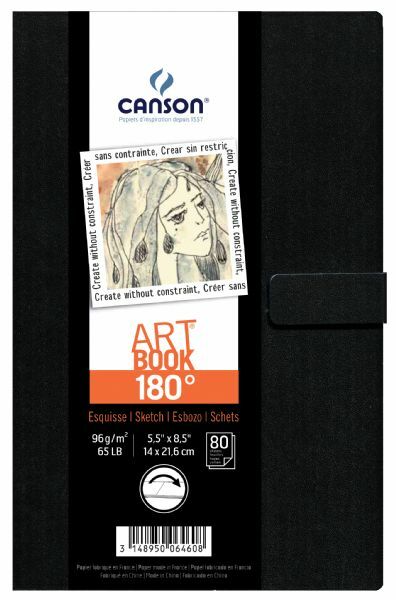 Sturdy stitch binding allows the sketchbook to lay completely flat when open. * It cleverly combines practicality (no spine magnetic closure solid acid-free resistant cover) and elegance (black cover with rounded corners). * 80 pages of acid-free OBA-free Crobart 96g paper. 8.5" x 5.5" x 0.5"